The question the government really needs to answer is why have we had so many unprecedented events in so short a space of time. A month’s rain fell in a day. This was the third time in ten years that this region was hit by ‘unprecedented’ rain – 2005, 2009, 2015. How many times does it take to set a precedent? Each time millions of pounds was spent improving flood defences in the region. Each time the defences were overwhelmed by the next ‘unprecedented’ event. Since they are ‘unprecedented’ it is not fair to blame the authorities for not being prepared. The real challenge for the Government is what is it going to do to prevent more unprecedented events from occurring. This is not simply a matter of the money. No matter how much money you throw at an ‘unprecedented’ weather event, the next ‘unprecedented’ event will overwhelm the defences. Climate change means that precedents change. Events that used to occur once in a hundred years now occur more frequently. That makes it impossible to judge wisely how much to spend on flood defences. The lesson to learn is that we must not only deal with the events that do occur but we must put more effort into stopping them getting worse. That means taking more urgent action to tackle climate change. 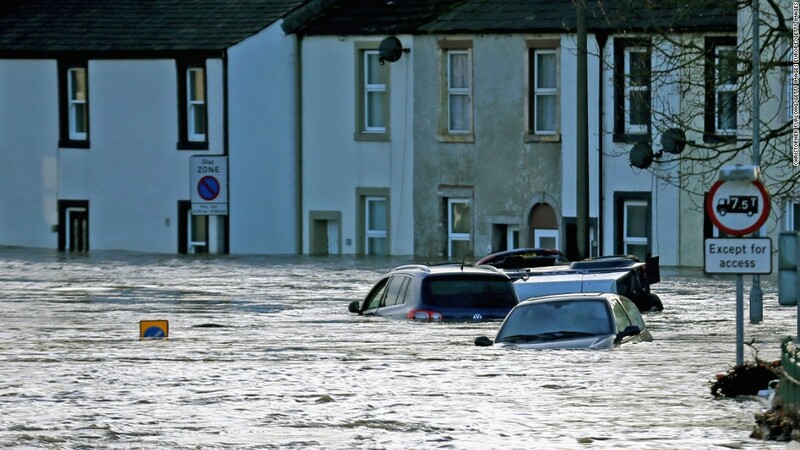 It also means that it would be very unwise, and expensive, to go on building new homes on flood plains as this would simply expose more people to the misery we have seen so much of in Cumbria.